Feeling the stress for the upcoming finals? Burning the midnight oil every night? Fret not, we’ve got the perfect solution for you! 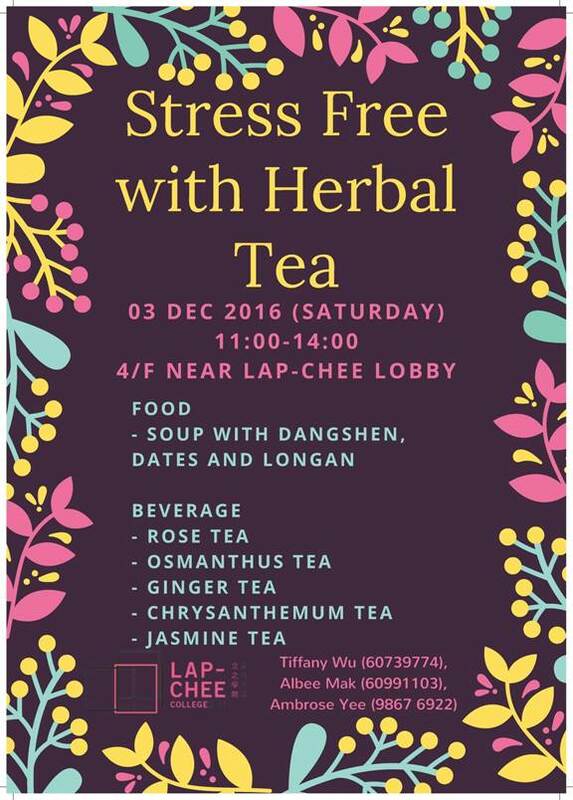 Lap-Chee College will be giving out desserts and Chinese floral tea to all JCSV3 residents to help you stay focused on the upcoming examinations and stay healthy. We will even provide mini recipes for you in case you are interested in making some for yourself! So, do drop by our booth and get yourself an organic power drink!